From printing business reports to various forms of documentation, printers help people stay productive. What many people forget is that printer maintenance is necessary to keep it running smoothly. How can you keep your equipment from breaking down? Laser Line can answer that question. Their staff provides maintenance services around Jessup, MD, and Manassas, VA. 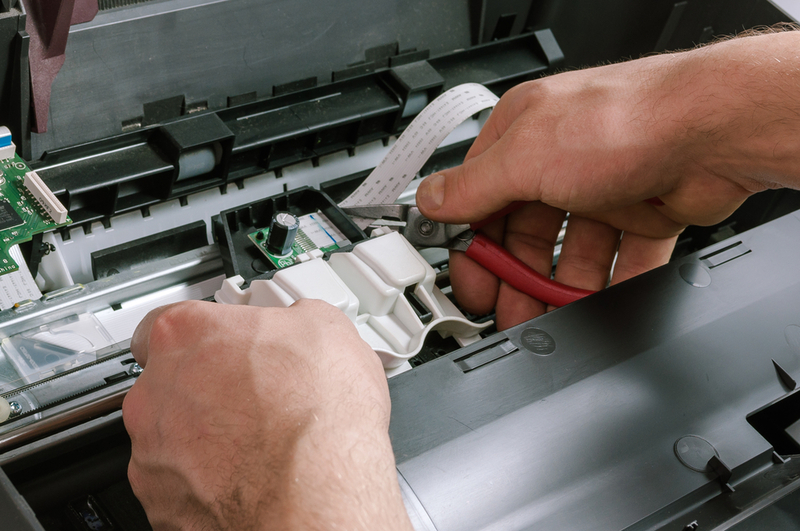 They have shared a few ways that printer maintenance can help your HP® Printer stay in top condition. Align the Ink Jets: One of the most basic forms of maintenance you can perform is inkjet cartridge alignment. If you see your colors bleeding together, an alignment may clear up the problem. A user manual can guide you through the steps, though some models have onboard displays that will also assist you. Update the Drivers: All hardware installed to a computer needs the appropriate software, which are called drivers, installed. Without these, your devices can begin to function improperly. Even after installation, you need to keep your drivers updated. Although your computer will often attempt to do this automatically, you may sometimes need to do it manually. Both your user’s manual and your printer’s software can help you through the process. Cleaning the Scanner: If your printer has a scanner, you need to give it an occasional clean to ensure it can properly read your documents. On most printers, you can access the scanner by opening the document-release door. Afterward, clean the scanner using a dry cotton swab. You can also apply alcohol to the swab if necessary. If you need thorough printer maintenance, contact Laser Line. They perform a range of services from maintenance to initial printer installation. They can discuss your technical issues with you and even provide any printing supplies you might need. Call them at (410) 636-1700, or visit their website.